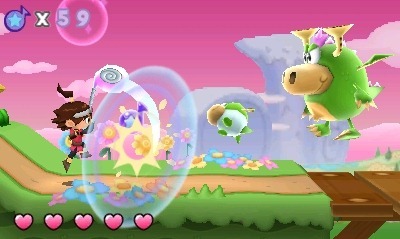 HarmoKnight follows the tale of Tempo, who is on a rhythmical quest to return harmony to the land of Harmonia. 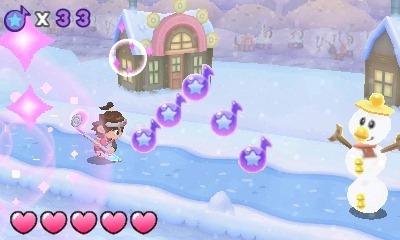 This, of course, is accomplished by running nonstop and bashing cute monsters to death with an over-sized music note. Taking a page from Bit.Trip.Runner, Tempo continuously runs, leaving players to jump, avoid, and attack their way through the world. 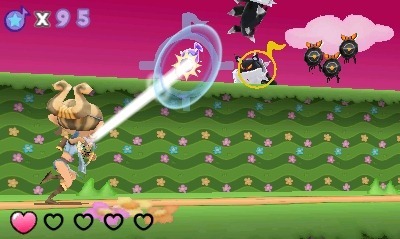 The music and sound in the title are directly influenced by your actions in the game, so as you grab music notes and smash large-nosed, trumpet-horned cow creatures, the music reflects that. The trumpet cow deceives with cuteness. 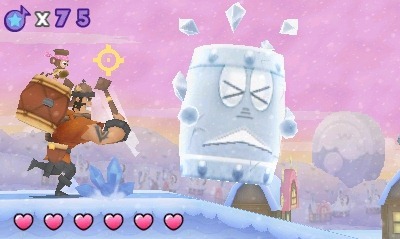 Harmoknight also features other playable characters such as Laila, who wields a harp that functions like a bow and arrow, and Jinbei and Symbi, a knightly-looking character with one barrel of monkey. 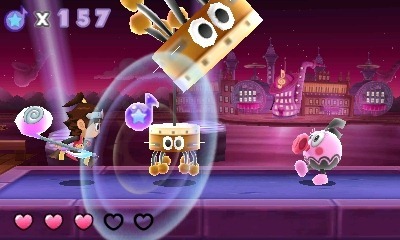 The Nintendo 3DS eShop title was released in Japan on September 6. 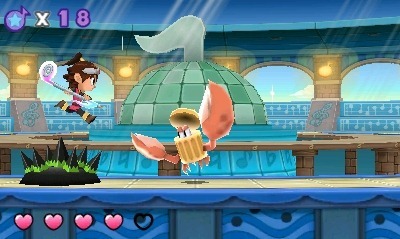 While there has been no announcement of a US release, gamers are quite familiar with Game Freak’s other titles, primarily Pokemon, and considering the frequency in which we receive those titles, it’s not completely unlikely to think we’ll soon have our chance to run with Tempo on his journey. 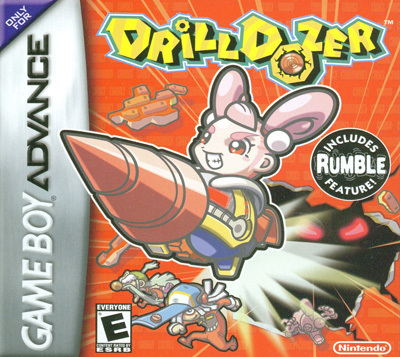 Game Freak also developed Drill Dozer. Next Post:Picotto Knights Release Soon For Japan, Imminent for US?